Three weeks ago, Puerto Rico was hit by a devastating hurricane. Hurricane Maria, a category 5 hurricane, knocked out 100% of the country’s power. Literally no one on the island had electricity. Today, 84% of the country remains without power, water is scarce if at all available, and the situation becomes more and more dire each day. However, before this tragedy the majority of Americans on the mainland had no idea that Puerto Ricans are American citizen and that Puerto Rico is a U.S. territory. Because we at 7 Generation Games believe that people should be educated, we decided to make a quick 101 that will not only inform our readers but also help our teachers explain the complex situation that is the relationship between Puerto Rico and the United States. It goes back to our whole belief that actually knowing and understanding history is important. Puerto Rico is a U.S. territory. This means that Puerto Ricans are as much American citizens as you and I. (Assuming of course you’re natural born U.S. citizen. If that’s not the case, than Puerto Ricans are more American citizens than you.) Yet, somehow A LOT of people seemed to miss this unit in history class. In a survey in March, a jaw-dropping 53% of (obviously non-Puerto Rican) Americans didn’t know that Puerto Ricans were U.S. citizens! San Juan, Puerto Rico in 2009. What does this mean? Well, it means that Puerto Ricans have the rights granted to all Americans under the Constitution, including – but not limited to – the right to travel freely between states, the right to work and live in any state they choose, the right to run for president, the right to free speech, like literally all of the rights – because they’re U.S. citizens. Although Puerto Rico does not have an electoral vote, Puerto Ricans have the right to vote in U.S. elections – meaning if someone from Puerto Rico moves to the mainland, he/she can freely vote in any election. You know why? Because they’re U.S. citizens. And while we’re on the point, we should add that Puerto Ricans cannot by definition be U.S. immigrants because they’re already in the United States. This was an wording issue that was comes up now and again. For example, when Sonia Sotomayor became a Supreme Court justice, there were a number of reports saying she was the child of Puerto Rican immigrants, which was just plain wrong. It’s like saying someone from California who moves to New York is an immigrant – which isn’t the case. 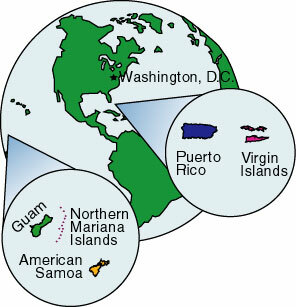 Extra fun fact: The same applies for the U.S. Virgin Islands, Guam, North Mariana Islands, and American Samoa. Puerto Rico is not a state – and there’s a lot of history behind that. Wait, so is Puerto Rico a state? No, it is not a state. This is part of the reason the situation with Puerto Rico is so confusing.They fall under the whole U.S. imperialism thing. Again, it all goes back to history. You can’t understand the present state of a country without knowing its past, and Puerto Rico has a long history of being under another country’s rule. 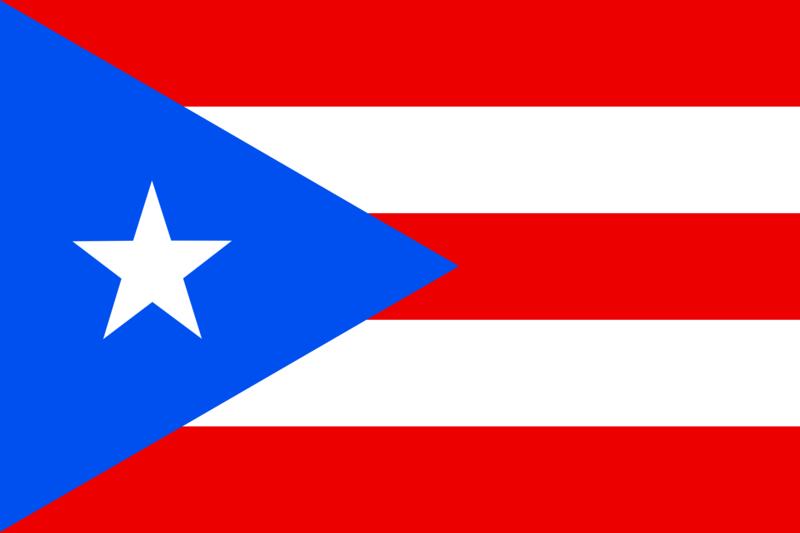 Puerto Rico was under Spanish rule for nearly four centuries, from the time Columbus arrived in 1493 until 1898. But, ultimately the Spaniards decided to provide Puerto Rico with “limited autonomy.” Unfortunately, that didn’t last long. Months later, the U.S. swooped in and took over Puerto Rico during the Spanish-American War. Spain ended up ceding the island to the United States. The U.S. government took over the island basically as a colony. Because they didn’t want Puerto Rico to become a full-fledged country with its people seeking independence, the U.S. grant Puerto Ricans with U.S. citizenship. And despite the people wanting to pretend U.S. colonialism is a thing of the past, that’s exactly what’s going on with Puerto Rico. Some parts of the Constitution apply to them, other parts don’t. They’re U.S. citizens, but in many ways, they’re treated like second-class citizens. In June of this year, Puerto Ricans voted in favor of statehood. However, it is ultimately up to Congress to decide their statehood and there’s no indication they plan on acting on it any time soon. Puerto Ricans weren’t granted citizenship until right before the U.S. entered World War I – just in time for about 20,000 Puerto Ricans to be drafted to serve in the war. President Woodrow Wilson signed the Jones-Shafroth Act, also referred to just as “The Jones Act.” According to the Library of Congress, “The Jones Act separated the Executive, Judicial, and Legislative branches of Puerto Rican government, provided civil rights to the individual, and created a locally elected bicameral legislature.” Despite having their own form of government, the U.S. still maintained ultimate power over Puerto Rico’s legislative decisions, in addition to their economy, immigration, even the mailing system! In 1951, Puerto Rican voters approved a U.S. law that granted them the right to draft their own constitution. Two years later, Puerto rico declared itself a U.S. commonwealth under their new constitution. Roughly as many American citizens live in Puerto Rico than live in Wyoming, Vermont, North Dakota, South Dakota and Alaska combined. Let’s let that sink in for a minute – because if all the aforementioned states were in a huge state of emergency, you can bet there would be a huge uproar and push to get them aid from all levels of government. About 3.4 million people live in Puerto Rico – meaning if Puerto Rico was ever to become a state, it would rank 30th of 51 states in population. According to Pew, the majority of people living on the island identify as Hispanic. Puerto Rico is a massive melting pot where you will find many people of mixed descent. Both English and Spanish are spoken on the island, and the racial breakdown is: 75% white, 12% black/African-American, and 8.5% “other” which includes American Indian, Alaskan Native, Native Hawaiian, other Pacific Islander, and others), and the remaining 3.3% are considered mixed. This is nowhere near being everything we all need to learn Puerto Rico. But, it’s a start. Most importantly, they – our fellow citizens – need our help. Not only are they Americans, but they are people! If you’re interested and able to help Puerto Rico, then you can check out the Hispanic Federation for more details!